What is the Church of Jediism? The movie Star Wars has captured the minds of so many people since it first came out. Everyone can identify with its gripping story of good versus evil, with good winning in the end. Besides from gaining a lot of fans, it soon became a religion. People’s fascination over the movies, specifically about the supernatural and telepathic powers, made it a phenomenon, eventually becoming known as the religion of Jediism. But what exactly is Jediism? Let us find out in this article. The Jedi are those who believe in the Force. The Force is a specific energy flowing through all things. It is what binds the universe together. In the movie, the Jedi can tap into the Force, even shape it to unlock a greater potential. The Jedi serve as the guardians of knowledge, justice, and truth. To this day, some actual people believe in the Force. These Jedi consider their beliefs as a religion while some refer to them as a philosophy, a lifestyle or a way of life or a development movement they follow. The Jedi religion is also known as Jediism, which even to this day is a decentralized system of belief. Various groups exist trying to teach their beliefs to others. However, a lot of the people who believe in Jediism are still widely different than the individual Jedi than the Jedi organizations. The teachings of Jediism are not generally considered rules, but more to be guides and suggestions. Because of this, the various Jedi groups have different approaches to Jediism teachings. But although the approach is different, they do not necessarily believe that the approach is incorrect. The first time that the Jedi was mentioned as in the movie Star Wars IV: A New Hopei in 1977. The concept of Jedi and the Force remained central in the movies Star Wars movies that followed, even in the games and novels that were part of the Star Wars universe. The sources of Jediism were completely fictional. However, George Lucas who was the creator came up with the idea of Jedi after researching various religious perspectives. Two of the religions that have influenced the concept of Jedi were Buddhism and Daoism, plus several others. Even though Jediism is far spread out in the world, it rapidly multiplied in the last two decades due to the convenience provided by the Internet. According to the followers of the Jedi religion, they do recognize that the movies were fictional, but it has religious truths in them for which they believe. The beliefs of Jediism focus on the existence of the Force. The Force is impersonal energy flowing through and binding the universe. The same concept can be likened to the central beliefs of other religions such as the qi of the Chinese, the prana of the Indians, and the Holy Spirit of the Christians. Besides the Force, the Jediists also follow The Jedi Code. The code promotes serenity, peace, and knowledge among other Jedi followers and with other people as well. Besides the Jedi Code, there are the 33 Jedi Teachings to Live By that is another set of teachings they follow. 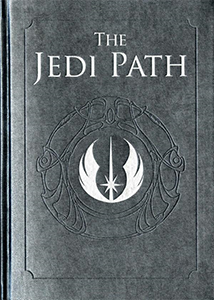 In this set of teachings, the Jedi followers are taught of the effects of the Force. Furthermore, it guides them about the Jediism basic principles. The Jedi teachings are mostly positive and practical wit focus on insight and mindfulness. Followers of Jediism acknowledge that their religion began from the influence of the movies Star Wars. However, their doctrine follows the spiritual and moral codes set by the movie Jedi. Their followers insist that they do not focus on the fiction and mythology of the movie. Instead, they follow the 16 teachings created after the presentation of the fictional Jedi. These teachings encourage the follower Jediism to be mindful of negative emotions. Moreover, it is their doctrine that they serve as guardians of justice and peace. The Jedi believes in the Force and the worth of every life in the universe. The Jedi also believes in the purity of a person, therefore strictly opposing cruel punishment such as torture or death penalty. They believe a society where the laws are founded on compassion and reason. Moreover, the Jedi’s ideal society is one that does not discriminate based on the circumstances of a person’s birth, either national origin or ethnicity or sexual orientation. A Jedi also believes in the ethic of reciprocity, as well as in how moral concepts differ based on religion, culture, and over time. Jedis all over the world follow the influence that spiritual awareness and growth has on society. They stress how important the freedom of conscience is, as well as the self-determination that exists within political, religious, and other structures. More importantly, Jedis believe that the government and religion must be separated and that a person must have freedom of speech, expression, and association. Besides the many beliefs that the Jedis follow, there are Three Tenets they are encouraged to use to help become better versions of themselves. Those Three Tenets are Focus, Knowledge, and Wisdom. The focus is about letting go of irrelevant things and instead of pouring one’s time to what they are doing at the moment. A person acquires knowledge when they are focused, and Wisdom is something they can when knowledge is applied correctly. More than this, the Jedis all over the world has The Code to live by, which are available in two versions. While there are two versions, it is merely two different ways in which the same teaching is explained. The Code of Jediism includes practical beliefs that guide the modern Jedi. As mentioned before, Jediist followers are widespread, and they follow unique approaches towards the religion. As not a traditional religion and due to the fact, it started from fiction, Jediism is not recognized as a legal religion except in the United States. In the United States, Jediism has registered in one state. More specifically, a Temple of the Jedi Order can be found in Texas which was registered in 2007. The state government granted them an IRS tax exemption back in 2015.